Mr. Kim, a native Korean, has extensive knowledge and experience in real estate transactions, corporate transactions, mergers & acquisitions, securities law, corporate governance, financing and international transactions. His experience has enabled him to serve clients in various industries, including banking and financial services, real estate, renewable energy, agriculture, bioscience, technology, and restaurant and hospitality. 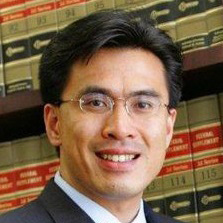 Prior to joining the firm, Mr. Kim practiced at KL & Kim PC and Stinson Morrison Hecker LLP, and served as an extern law clerk for Chief Magistrate Judge Terence P. Kemp of the United States District Court for the Southern District of Ohio. While in law school, he provided pro bono legal services as a volunteer for the Student Housing Legal Clinic of Ohio State University and was honored for this work with the award of a Public Service Fellowship by the Ohio State University Michael E. Moritz College of Law. Mr. Kim is a frequent speaker, lecturer and article contributor. He has lectured at Mokwon University and Sungshin Women’s University in Korea. He was also a guest speaker on international business issues on YTN, a Korean TV station. Mr. Kim has authored “The Korean Securities Law” for The International Lawyer (Fall/Winter 2005, Vol. 1, No. 3; Fall/Winter 2006, Vol. 2, No. 1), published by The American Bar Association. Mr. Kim regularly contributes legal articles to Korean news publications, including The Korean Daily (“Joongang Il Bo”) and The Korea Herald Business.